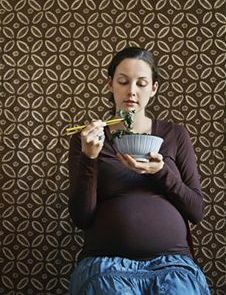 A recent study conducted by scientists in Canada has shown that pregnant women and foetuses are at risk of health problems if the mother consumes genetically modified (GM) foods during her pregnancy. The study, titled Maternal and fetal exposure to pesticides associated to genetically modified foods in Eastern Townships of Quebec, Canada looked at whether there was a correlation between maternal and fetal exposure to pesticides associated with genetically modified organisms (GMOs) by sampling the blood of 30 pregnant women and 39 nonpregnant women. In addition, the cord blood of the pregnancy women’s babies was also analyzed. 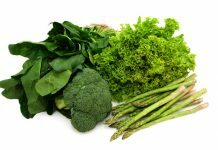 The study concluded that yes, indeed, in some cases, agricultural chemicals are able to survive a woman’s digestive system, move from there into the pregnant woman’s bloodstream, and from there be passed on to the developing infant. In fact, gluphosinate was detected in 18% of the nonpregnant women, and a metabolite called 3-MMPA (a product that results after gluphosinate is broken down) was found in 100% of the pregnant women’s and fetal blood samples. The metabolite was also found in 67% of the nonpregnant women’s blood. This is in direct contradiction to what biotechnology companies have been saying for years – that their agricultural chemicals are safe for humanity. The frightening reality is that the parent (gluphosinate) compound has been shown to be a central nervous system toxicant and is suspected of stunting growth. The metabolite has been shown to exhibit the same toxic impacts. That means when women eat GMO foods laced with these herbicide, they are exposing their unborn children to a toxin that may slow their physical growth, at the very least. More worrying still, is the fact that Cry1Ab is showing up in maternal and fetal blood samples. The study found that 93% of pregnant women, 80% of the cord blood, and 69% of nonpregnant women’s blood tested positive for the Bt toxin. Though Monsanto, the company that makes Bt corn and cotton seeds, has maintained that their product causes liver and kidney problems in rats, these products are still permitted to enter our food stream. Greenpeace has come to some frightening conclusions about this Bt toxin. They have found that Cry1Ac is a toxin that negatively impacts a human’s immune system. And it can impact humans by either being injected or being eaten by that person. Clearly GMO foods are worth of at least our extreme caution and suspicion. 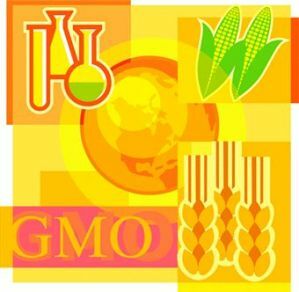 More studies are warranted to determine the true nature of how GMOs work, and they should not be used for creating our food until results of such studies have been completed. But GMOs are also a menace to our society and the environment. As GMOs contaminate our wild plant and animal populations, they can encourage genetic mutations that are detrimental to our health and the environment. 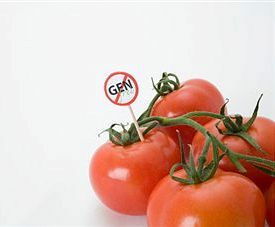 If characteristics of GM organisms insinuate themselves into wild gene pools they can turn on and off natural functions of those genes, causing irreparable damage. Even if we don’t see the negative consequences right away, GMOs may cause massive damage to long-lasting organisms with long life cycles. GMOs also can contribute to the massive die-offs of bees throughout the world. Our food system is absolutely dependent on bees for survival. Bees pollinate an untold number of crops. Without them, our food system would collapse, so protecting bees is of utmost importance. Not only that, but even though these GMO crops claim to have pesticides baked into their structure, they actually contribute to pesticide resistance. Which means, over time, we will use more and more pesticides, which means even more pollution for our soil, water, and air. This increase in pesticide consumption is already being seen. Finally, there are the social implications of GMO crops. GM seeds can spread easily from one field to another by air and water. If a non-GMO farm tests positive for being in possession of GMO genetic material, that farmer will be sued for theft, even though the spread of the GMO material was at no fault of their own. Already many farmers have been made bankrupt by these intellectual property laws that favour companies like Monsanto. The healthy and moral thing to do is to choose organic foods for you and your family. This is especially true during pregnancy, but should be heeded throughout your life and that of your children to foster a more just and clean world. 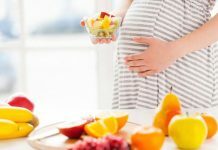 Previous articleWhat Are the First Month Pregnancy Symptoms?